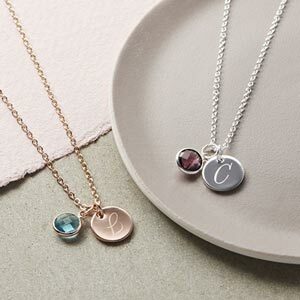 The Constellation Pendant Personalised Necklace is a gorgeous, glistening necklace with embedded CZ crystals and a quaint personalised message around the edge of the disc. Featuring an array of six CZ crystals in differing sizes, the Constellation Pendant personalised necklace is a glistening piece of jewllery ideal for dress-up occasions or everyday-wear. 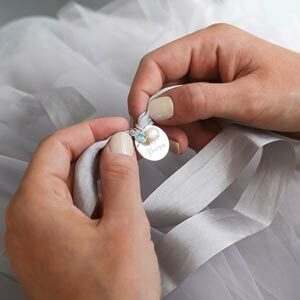 The CZ crystals are aligned in a pattern on one side of the pendant while the other half of the disc is reserved for a personalised message, name or phrase of your choosing. Your personalised necklace, whether for yourself or to be given as a gift is then presented on one of a selection of message gift cards.